“Sitting down at PWC building Westlands then suddenly BOOOM! 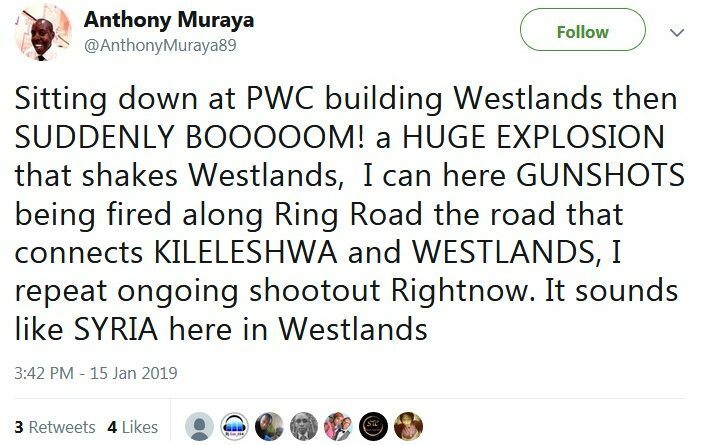 a HUGE EXPLOSION that shakes Westlands, I can hear GUNSHOTS being fired along Ring Road the road that connects Kileleshwa and Westlands, I repeat ongoing shootout Right now. 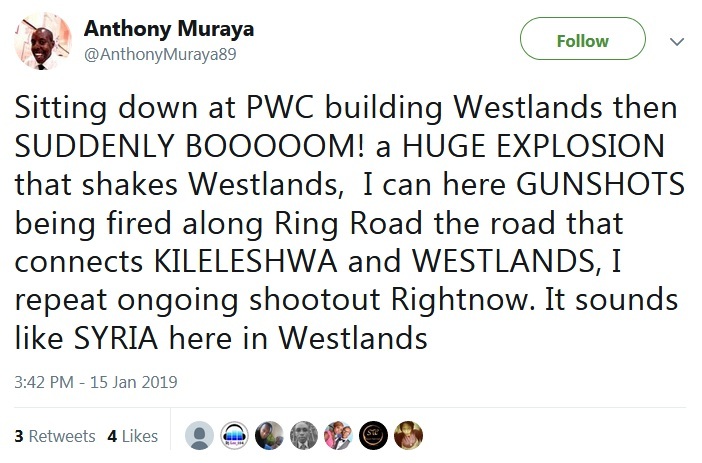 It sounds like SYRIA here in Westlands,” tweeted Anthony Muraya. The explosions are being reported at Westlands Riverside area at Grosvenor Building according to people trapped at the building.